According to Section 22/ E of the Act on Corporate and Dividend Tax of Hungary, the corporate taxpayer may benefit from tax relief when implementing an investment for energy efficiency enhancement purposes. This may entail any purchase of new equipment, machinery or other asset, switching to a more efficient one or carrying out a refurbishment of existing asset or building. The tax return can reach as high as 65% of the capital expenditure. All details in our article. If your Hungary-based company plans to invest in energy efficiency (or since 26 July 2018 carrying out a refurbishment for that purpose) in the near future, most probably the investment would be eligible for deduction from corporate income tax. If that’s the case – which can be found out by consulting a professional1)see our contacts below – it’s imperative to carry out prior to the start of the investment an official pre-audit of the system affected by the investment by a certified energy auditor. If your firm has started such an investment after 1 January 2017 but before 4 July 2017, it may also qualify for the deduction, because in this case there’s an exemption for the official pre-audit. Please contact a professional for further details. The tax relief can be applied to investments for energy efficiency purposes started after 1 January 2017. As of July 26, 2018, the relief is also applicable to the accountant category of renovation/refurbishment. The relief can be applied first in respect of the fiscal year of the investment or the subsequent fiscal year, and following that for five consecutive fiscal years, in each year up to 70% of the calculated income tax. a pre-audit must be carried out prior to the commencement of the investment, assessing the planned savings on the investment. after implementation, an energy audit must be executed on the technical system measuring the actual savings. any undertaking that makes the investment irreversible. In the case of an acquisition of a real estate, the date of commencement of the investment is the date of ownership of the assets directly linked to the investment. 1. What is the date of the start-up / commissioning of the investment? The tax allowance may be used in the tax year following the commencement of the investment – or, according to its decision, in the tax year for the installation of the investment – and in the subsequent five fiscal years (Tao Article 22 / E (1)). This means that the first time the tax allowance is to be paid no later than the tax year following the commencement of the investment, but the whole amount may also be deducted from the six years of corporation tax, including the first drawdown, up to 70% of the corporation tax. The Legislation does not mention the investments already in operation, so we believe that the investments already in operation should be carried out in the same manner as in Section 7 above. However, CIT 29 / A. § (44) stipulates that the tax allowance is for the first time amended by Act CXXV of 2016 on the amendment of certain tax laws and other related laws may apply to investments for energy efficiency purposes which have started after the entry into force of this Act. The CXXV. The relevant points of the Act entered into force on the 1 January 2017. The table above summarizes the situation. 2. What investments can be expected and what does energy efficiency increase? the part of the cost of the intangible assets regulated by Accounting Act, which is incurred as an additional cost compared to a similar less energy-efficient investment, which is less energy efficient investment by the taxpayer would have been credited in the absence of this tax advantage and other public support for the investment. For the new investment or the baseline (if the useful life has expired, with the least efficient tangible asset in circulation) or if a minimum legal requirement for energy efficiency is imposed by the directly applicable legal act of the European Union or by a statutory minimum requirement of the European Union, then this must result in savings to this requirement (Section 3 (4) of the Government Decree). The law does not provide for a minimum improvement criterion. The tax benefit is available if the taxpayer uses all the assets forming part of the investment and undertakes the operation and use of these assets for a period of at least five years (ie the mandatory operating period) after the investment is put into service as per the valid final authorization. If an asset is invested in a non-remunerated asset without replacement, or if it is not replenished, the cost of such assets will reduce the eligible cost of the tax allowance. (CIT 22 / E.§ (7)). These fixed assets should be kept separate in the manner detailed in the Act (CIT 2 / E.§ (9)). We recommend that you consult with each other in your specific case with your company lawyer, tax expert, and energy specialist. Contrary to the majority of available state support, tax relief can be used without territorial restrictions or a minimum investment limit. This means that it can be used in the Central Hungarian region, where other subsidies are not available, as well as those investments that do not meet the minimum limits of the development tax allowance. However, from July 26, 2018, there is territorial discrimination. In the region of Central Hungary the level of support remained at the original 30/40/50%, however, it changed to 35/45/55% in the eligible settlements of the region, while in all the other regions (Western Transdanubia, Central Transdanubia, Southern Transdanubia , Northern Hungary, Northern Great Plain, Southern Great Plain) has increased considerably 45/55/65% rate of taxation! What other aid excludes the use of energy efficiency tax allowances? 3. Who can issue and what is required for the certificate? 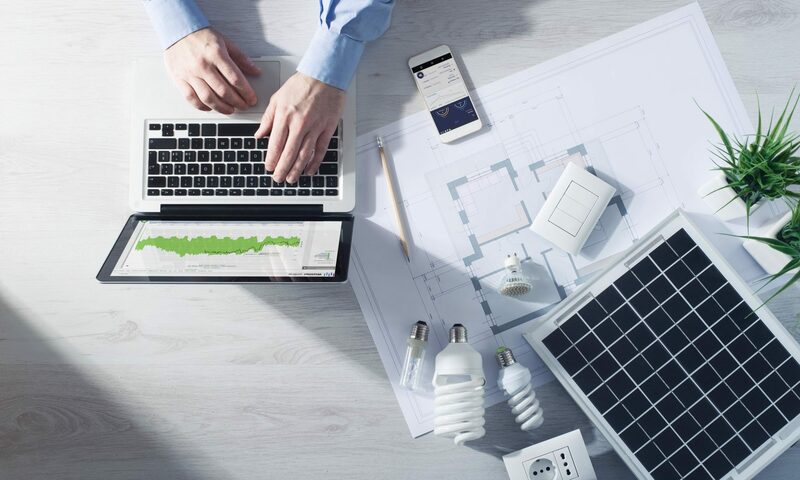 The certification of the investment quality for energy efficiency purposes is issued by the energy auditor or energy auditing body included in the list of energy management by the Hungarian Energy and Utilities Regulatory Authority at the request of the taxpayer. First, the auditor assesses energy consumption data for the technical system affected by the planned investment and estimates the extent of the energy savings achieved with the planned investment. The auditor will inform the taxpayer in writing about this result. The auditor will inform the taxpayer in writing about this result. The information also includes the methodology for determining energy savings. The auditor prepares and passes the energy audit of the technical system affected by the investment to the taxpayer after the investment is commissioned. Based on these, the auditor can issue the certificate based on the above principles. the date and the reason for scrapping the asset. Further details about administration are contained in the law. In case of any questions, please contact our English speaking colleagues at +36708508993 or info@wattler.eu. In case of any need for audits or certificates you can rely on our services directly. All information provided here are for information purposes only. Next PostNext Are Renewables Really Cheaper Than Conventional Power Generation?